Barry M. Cohen, M.D., is a practicing clinical cardiologist with the Atlantic Medical Group’s Associates in Cardiovascular Disease in Springfield, New Jersey. He is the medical director of the Cardiac Catheterization Laboratory and a co-director of the Valve and Structural Heart Program at the Morristown Medical Center’s Gagnon Cardiovascular Institute in New Jersey. A native of Montreal, Dr. Cohen completed his undergraduate studies at McGill University and received his medical degree from the University of Sherbrooke in Canada. Following his clinical cardiology fellowship at the Mount Sinai Medical Center in New York City, he completed an interventional cardiology fellowship at the University of California–San Diego Medical Center. Dr. Cohen is a diplomate of the American Boards of Interventional Cardiology, Cardiovascular Diseases and Internal Medicine. He is a fellow of the American College of Cardiology, the Society for Cardiovascular Angiography and Interventions, and the Royal College of Physicians and Surgeons of Canada. He is past president of the New Jersey Society of Interventional Cardiology. 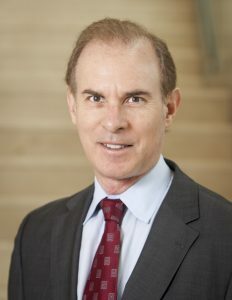 Dr. Cohen is an associate clinical professor of medicine at Mount Sinai’s Icahn School of Medicine and at Thomas Jefferson’s Sidney Kimmel Medical College. Dr. Cohen has published numerous scientific papers and abstracts in interventional cardiology. He has pioneered rotational atherectomy, used in the treatment of complex calcified coronary arterial blockages. He has been an investigator testing new stent designs and Impella-assisted high-risk percutaneous coronary intervention (PCI). Dr. Cohen was the first physician in New Jersey to use the Arctic Sun “Cold Suit” to preserve brain function in a patient after cardiac arrest. He treats stroke patients who have associated heart defects. Dr. Cohen is a leading clinical investigator at Gagnon, treating patients with valvular heart disease. The medical center’s team is one of the busiest valve teams in the country both in mitral and aortic valve (transcatheter aortic valve replacement, or TAVR) procedures.